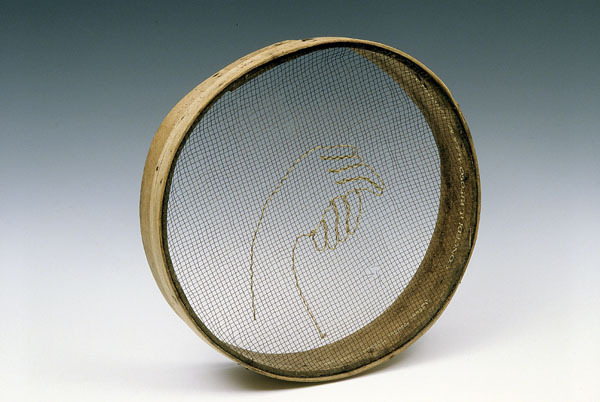 The sieve is significant because of the way grains flow through a thin mesh from one side to the other – as Mary flowed from life to death. An outline of Mary’s serene hands reminds us of her absence. She would have prayed that her soul rest in the bond of life.